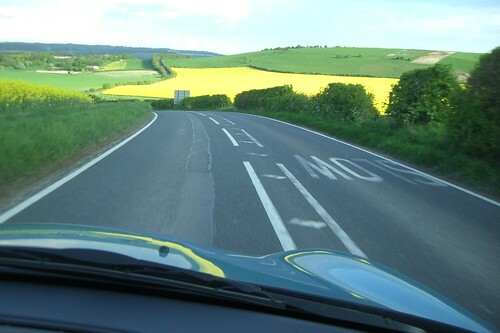 Thomas swirls along roads built to bounce him and give me lots of steering opportunities, through violently yellow rapeseed fields, between hedges who’s vaulting arms meet above us. This scribble was published on Thursday, April 30th, 2009. You can follow any banter on this scribble with the RSS 2.0 feed. You can share your inspired musings after typing the anti spam word near the bottom of the page. But no Pinging because its too naughty.